BioNovations manufactures technologically advanced systems designed for holding and transporting live seafood and are adaptable to a wide variety of aquaculture uses. Product design is guided by our deep understanding of live seafood. Each seafood species is physiologically unique and has specific thermal and biological requirements. We design each Traystor® system to replicate the natural conditions and cycles found in the aquatic ecosystem of each species. Our designs improve health and decrease mortality rates by reducing the thermal, physiological, and biological stressors involved in handling and shipping live seafood. 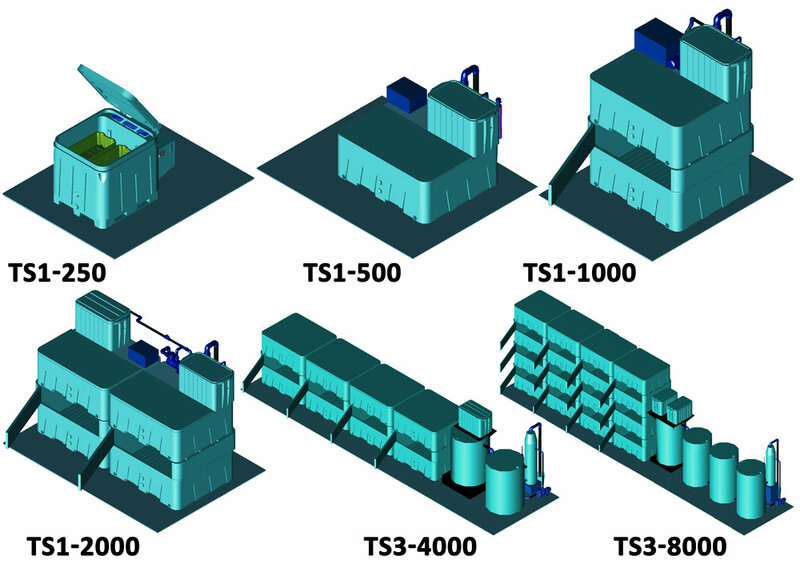 BioNovations began with its Traystor® TS1 and Traystor® TS3 Holding Systems. The Traystor® I and Traystor® II Holding Tanks are uniformly sized, food-grade polyethylene tanks which meet HACCP, CE and FDA regulations. They can be stacked or placed side by side to fit our customers’ needs making installation, expansion, or relocation easy and less costly. All Traystor® TS1 Holding Systems and Traystor® TS3 Holding Systems feature individual plastic trays which hold up to 50 lbs of product. The trays are submerged in the water of the holding tank. Spacers between stacked holding tanks allow trays to be placed in or removed from the holding tanks with ease. Each tray has an exact tare weight simplifying inventory control. When holding finfish, the trays are replaced by an optional fish net which allows the fish to be easily retrieved from the water circulating in the holding tanks. The innovative Traystor® Crate is basically the holding system in itself when provided with a fresh supply of seawater in an environmentally controlled room. Seafood companies will move the crates from step to step throughout the supply chain without further handling of the live product within. Although some seafood distributors will elect to re-sort the live product within the Traystor® Crates once more at their holding facility to fulfill specific orders, the crates provide a drastic reduction in shipping preparation and management. Each Traystor® Crate System is equipped with an Integrated Water Treatment System which provides refrigeration, plumbing, aeration, and multi-stage filtration to maintain ideal conditions for a wide variety of aquatic species. All components are saltwater compatible and made of safe food-grade material. BioNovations holding systems have lower water and energy requirements than traditional holding facilities, are more environmentally sustainable, and are designed to allow for easy expansion as your business grows. 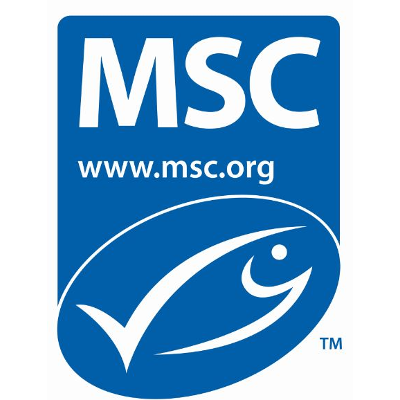 The first step in preparing your live seafood for long term holding and/or transport is to purge them of any waste. 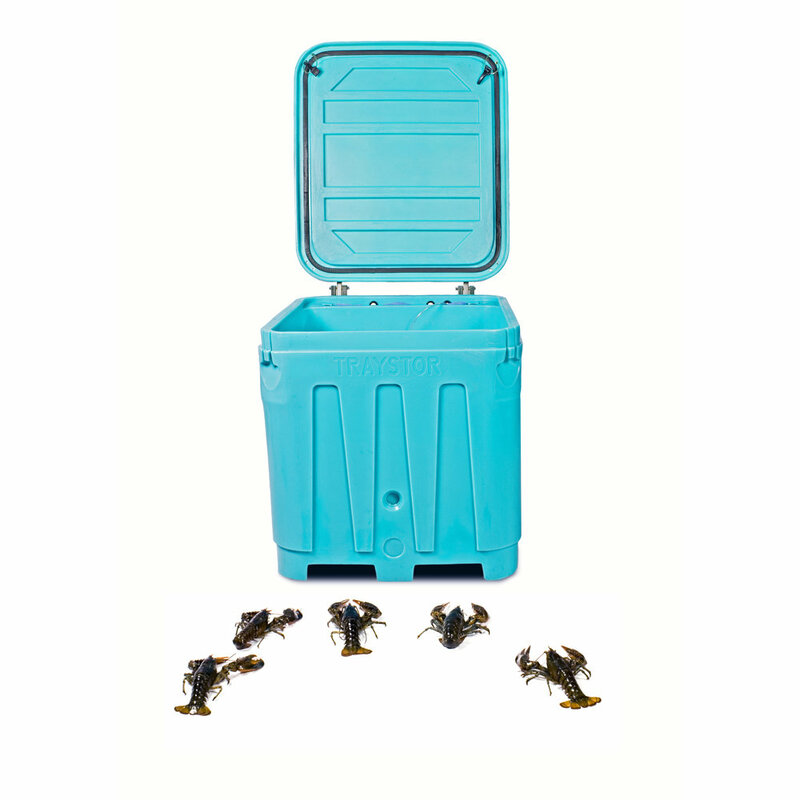 Traystor® Crates can be placed in a mobile or stationary Traystor® Purge System, where they remain for 72 to 120 hours, while the live product eliminates biological waste and its body temperature is lowered. These same Traystor® Crates are then taken to a Traystor® Holding Facility or Distribution Centre where they are acclimatized, if necessary, by lowering their body temperature further for long term holding or shipping. The next generation BioNovations Traystor® Crate Holding Systems are closed-loop, recirculating systems engineered for operation in a climate-controlled room to maintain fresh, live seafood and can be scaled to accommodate any capacity. The Traystor® Holding System is designed for holding live product in Traystor® Crates after the product has been purged. The Traystor® Holding System operates as a closed-loop system in the same way as the Traystor® Purge System but with a simpler filtration system since live seafood generates much less biological waste after the purging process. Our 500 lb TS1 System can be transformed into 3,500 lb System when modified to work with Traystor Crate. Existing customers can now easily expand their current TS1 & TS3 systems with minimal effort by switching to a Traystor® Crate system. The original Traystor® II tank can be transformed into a catch basin in which 35 Traystor® Crates can be stacked and placed under a spray system. This increases the holding capacity 7-fold, from 500 lbs to 3500 lbs. Adding a water reservoir tank to the system and a few modifications to the plumbing is all that is required. BioNovations can design any system to meet your specific needs for holding live seafood in any building and location around the world. At the heart of each BioNovations Holding System is our Integrated Water Treatment System (IWTS) capable of removing virtually all waste products from the water in a closed-loop system through biological, physical, and chemical filtration. This provides optimal water quality for a healthier product and reduces water consumption through reuse. Our filters remove dissolved ammonia, nitrite, proteins, organics, and sediment. All system components are food safe and easy to clean and maintain. Optional features include protein skimmers, UV sterilizers, titanium heaters, water quality monitors, marine salt, alarm systems, and additional thermal covers and inserts for enhanced energy efficiency. Our innovative IWTS provides multi-stage filtration with refrigeration, plumbing, and aeration to maintain optimal water conditions for a wide variety of aquatic species and can be scaled to accommodate any size system. Contact us for more information.